If there's one question you're guaranteed to get an interesting answer to, it's asking international model Tracy McGregor what she's been up to. It will inevitably involve travel, fine food and some adventure. But what does the most Googled person in SA get up to in winter? We join FHM's Sexiest Woman in the World as she takes Nico on a bit of a sea adventure in picturesque Hout Bay. 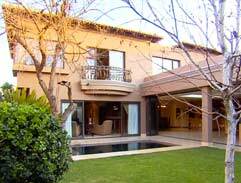 From an attempt at fishing, to Chef Philip Arno Botes cooking a spectacular fish dish, Nico experiences something a little bit different with the renowned model and businesswoman. 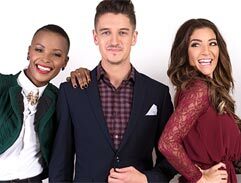 Tracy McGregor warms up winter on Top Billing this Thursday at 7:30pm on SABC3. 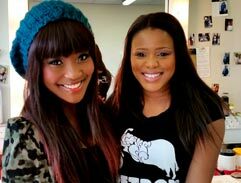 Grand-daughter of Archbishop Desmond Tutu and a self- determined woman, Natasha Thahane is forging her own path as a star of the TV series Skeem Saam. 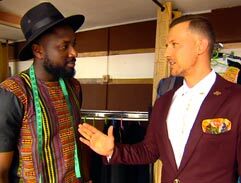 Join Jonathan as he experience the best of the Ghanaian good life and gets hooked up with some fresh Ghanaian threads, with a gorgeous African twist.